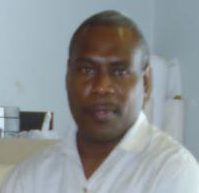 The Vanuatu Financial Intelligence Unit was enacted in September 2000 and is governed by the new Anti-Money Laundering and Counter-Terrorism Financing Act No. 13 of 2014. It is a unit within the State Law Office located in the Prime Minister's Complex (next to the Reserve Bank of Vanuatu compound) and managed by the Director of the FIU. Vanuatu FIU's primary functions are intelligence gathering and compliance regulation of financial institutions. The two primary roles are quite distinct but complimentary. To collect, analyse and disseminate financial information and intelligence to support the detection, investigation and prosecution of money laundering, financing of terrorism and financial/economic crimes. The Financial Intelligence Unit is Vanuatu's national agency responsible for the receipt, analysis, assessment and dissemination to competent authorities disclosures of financial information to counter money laundering, terrorism financing and suspected proceeds of crime. The Financial Transaction Reporting Act was enacted in 2000 and established the Vanuatu Financial Intelligence Unit. The AML&CTF Act places certain obligations on reporting entities. The AML&CTF Act empowers officers of the FIU to enforce compliance implementation on reporting entities, conduct compliance examinations on reporting entities and instruct compliance direction on reporting entities. FIU may issue written directions to financial institutions to take steps, as considered appropriate by the FIU, to comply with the Act. The written direction may request financial institution to implement such obligations within a specified time frame and to produce a written action plan in relation to the implementation.